Students who complete the Internship Prep Program and related requirements are guaranteed placement in at least one internship or other experiential learning opportunity during their undergraduate career. The Internship Prep Program is a combination of workshops and individual appointments hosted by the Career Center. The Internship Prep Program (IPP) is a combination of workshops and individual appointments designed to offer individualized support of each student’s internship or experiential learning search. Advance registration is not required and workshops generally last 45-50 minutes. Track your Internship Prep Program via Handshake! In order to be eligible for the Internship Guarantee, you must track your progress in the Internship Prep Program checklist in Handshake. All appointments, workshops, networking and applications can be tracked in one place so that you can mark your progress, and learn what more you can do to enhance your search. Who is eligible for the Internship Guarantee? 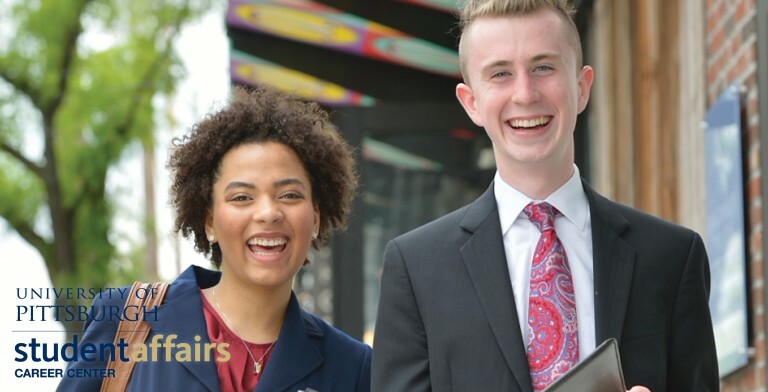 All undergraduate students who are enrolled in the University of Pittsburgh, Pittsburgh Campus may participate in the Internship Prep Program. The Internship Guarantee will apply to students who complete all related requirements of the Internship Prep Program at least one full semester prior to the term in which they are seeking an internship (which must be prior to graduation). Undergraduate international students must have completed at least two semesters at the University and verify their work eligibility status with OIS prior to participating in the program. When should I start the Internship Prep Program? Now. It is never too early for a student to begin the program, but it could be too late. First year students can benefit greatly by getting started early, giving them more time to take advantage of the services offered through the Career Center. How long does it take to complete the Internship Prep Program? The time frame varies greatly from student to student and is dependent on their schedules and availability for appointments and workshops. On average, a student takes at least a full semester to complete all of the the program requirements. The more time you give yourself to apply and plan, the more opportunities will be available to you. What are the “related requirements” of the Internship Prep Program? The complete list of requirements can be found and tracked within the IPP checklist in Handshake. Students are required to apply to and interview for internships for as long as they are seeking. The Internship Team is available to assist with all aspects of this process. Is it ever too late to start the Internship Prep Program? No. The IPP workshops are valuable to all internship seekers. However, the Internship Guarantee will only apply to students who complete all related requirements of the Internship Prep Program at least one full semester prior to the term in which they are seeking an internship (which must be prior to graduation). For example, a junior who wants to intern the summer after their junior year should complete the program during the fall of their junior year in order to provide ample time for application and interview processes. A senior planning to graduate in April must complete the program prior to the Fall Career Fair in order to be eligible for spring semester internship placement. Can I meet with the Internship Team without participating in the Internship Prep Program? Yes. All undergraduate students from the Pittsburgh campus are able to meet with the Internship Team. Drop-Ins are available Monday-Friday from 1-4 p.m., and appointments with the Internship Team can be scheduled on Handshake.